Sketches of Canada for October 12th! To his friends he was known as “Mike.” To the world he was known as the man that saved the Suez Crisis, and world from a nuclear war. Lester B. Pearson is awarded the Nobel Peace Prize on October 12th, 1957. 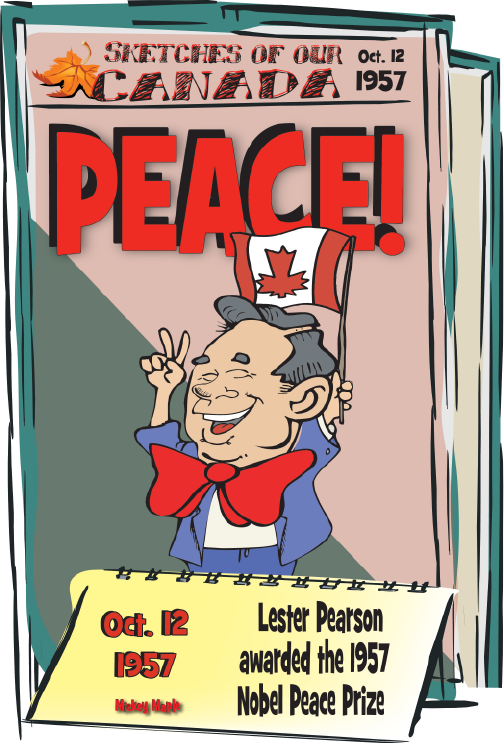 This Canadian History for Kids, Sketches of Canada, looks at Lester B. Pearson. This Canadian History for Kids article begins in 1956 when Great Britain, France and Israel attacked Egypt. They wanted to remove President Nasser of Egypt. President Nasser wanted to run the Suez Canal company. It had been run by the French and British governments. The canal was quite important. Most of the oil used by the French and British went through it. If President Nasser blocked oil from going through, it would hurt the countries. 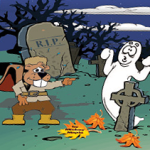 This Canadian History for Kids article continues continues when the Israeli attack began overnight on October 28 and 29, 1956, with the British and the French joining them a few days later. The Soviet Union supported the Egyptians and made it clear that if Britain and France did not withdraw, that the U.S.S.R. would use nuclear weapons. The Soviet Union threatened to use atomic weapons against any country that attacked. Canadian Lester Pearson, won support for sending a United Nations Emergency Force to the region to separate the two sides. A cease-fire went into effect at 2 a.m. on November 7, 1956. The first peacekeepers to arrive were Norwegian, who landed in Egypt on November 21.Canadian peacekeepers followed a few days later. This gained him the Peace Prize for 1957. Pearson would later become one of Canada’s most popular Prime Ministers. Among the outstanding achievements of his time as Prime Minister was adapting the Canadian flag.